As the SUV craze consumes the world, many iconic SUV nameplates are getting dusted off for new duty. From the Ford Bronco to the Chevrolet Blazer, it’s like deja vu back to the 1990’s these days. 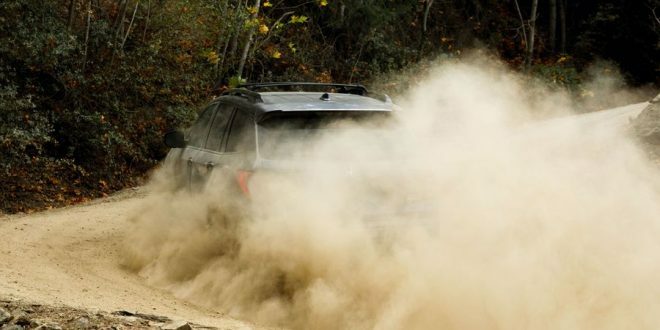 Honda has decided to follow the pack, confirming an all-new 2019 Honda Passport. Slated for reveal on November 27th, Honda has already given us a sneak peak at the new Passport with the above photo and below video. Promising the new Passport is adventure-ready, it was developed in the U.S. and will be built at the company’s Lincoln, Alabama assembly plant. The teaser shots sure seem to indicate the Passport is going to be a shortened version of the Pilot, which would make a lot of sense given it is going to slot between the CR-V and Pilot. That said, given Honda is calling it off-road ready, it would seem prudent that engineers make a few changes versus the suburbia favorite Pilot. Nonetheless, expect all of the details on the 2019 Passport to be revealed on the 27th. Production is slated to commence shortly after its reveal. This is such a no-brainer for Honda.